The newly arrived ATG web commerce solution from Oracle is recognized as the leading e-commerce solution that drives the world renowned brands. This application is devised to offer a stable and customizable cross-platform customer experience. You can create a fully personalized buying experience for your valued customers with ATG commerce. This application is specially purposed to work in all selling points like; mobile devices, physical stores, web, social media and contact center. Oracle offers a fully integrated eCommerce solution through software-as-a-service platform. This method is highly flexible and smart enough to target the potential visitors, resulting to high-value sales. The whole concept revolves around offering a complete, highly accessible ecommerce application platform and ATG commerce is engineered to achieve this challenge. This eCommerce solution can automate and customize the customer buying experience. It eventually increases customer queries and sales. This application also helps in keeping customer loyalty intact. The application boasts of best in class eCommerce features including high flexibility, easy implementation, and component based architecture. More advanced features assist customers to find their desired products quickly. They can easily view the new offers, redeem coupons, register for free merchandise, pre-order a upcoming product and more. Why Every Industry Needs ATG web commerce solutions? This component-based eCommerce solution is purposed for a number of customer oriented business advantages. This web commerce product can help any industry increase their revenue across all channels. Spawn a higher conversion of online traffic to potential customers, high volume of orders, repeat purchases and loyal customers. 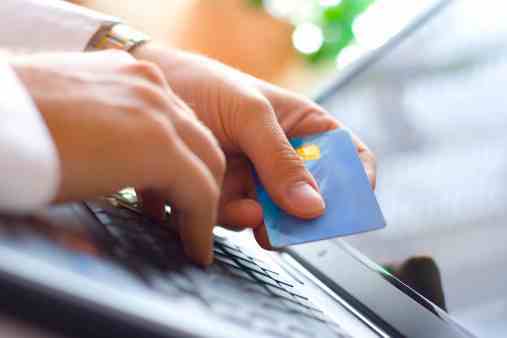 ATG web commerce is engineered to closely monitor buying behavior, sales and market condition. Eventually, you can respond quickly to any type of situation. The application monitors your retail website and shopping cart and notifies you for any abandonment. All these lucrative business oriented features are packed in a single component-based web commerce application. What ATG Web Commerce can do? ATG web commerce is designed to offer high performance in fulfilling personalized business objectives in any industry. There are a number of advanced features that make this high performing web commerce application a top-ranked business solution. Customize your online shopping site and other sales channels according to your business criteria. Upgrade components for enhanced eCommerce features. Make your products easily accessible to your customers. Enjoy cross-platform advantage for your business and get more visitors every day. Improve the conversion rate of visitors to customers. Offer right products to the right customers at the right time. The ATG commerce application works perfectly with its industry leading integrated features. study commerce as well as customer behavior. B2B/B2C Sites ATG web commerce application can be used to develop top-class B2B and B2C ecommerce site. It can also be used for sites that combine both the concept. Adaptive Operations Monitor and choreograph customer interactions and behavior to control a personalized buying experience for customers. Flexible Architecture – Reduce integration costs and accelerate ecommerce operations with highly flexible architecture. Pre-built Storefront A customizable reference store to help you jump start with your online retail business. The store is equipped with all the latest features of ATG commerce.